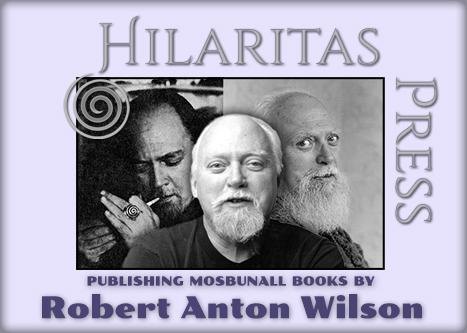 I first stumbled across Robert Anton Wilson in the pages of Vague magazine when I was 23. I was already familiar with Aleister Crowley, William S Burroughs, Wilhelm Reich etc., so discovering RAW was like finding the missing piece from my psychic jigsaw. Through RAW I was introduced to Timothy Leary, Kerry Thornley and other assorted Discordians. 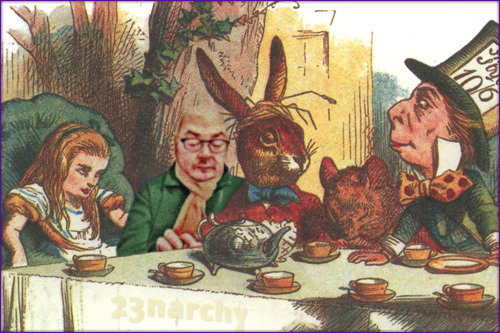 I stole the name Zenarchy from Thornley’s book for a short-lived music project (the only released track was a collaboration with 808 State which sampled Timothy Leary, Lydia Lunch and the Exorcist soundtrack…) and this name later combined with the ubiquitous number 23 to mutate into 23narchy. I’m delighted to be a volunteer proof-reader for Hilaritas Press on their new, improved editions of RAW’s books.